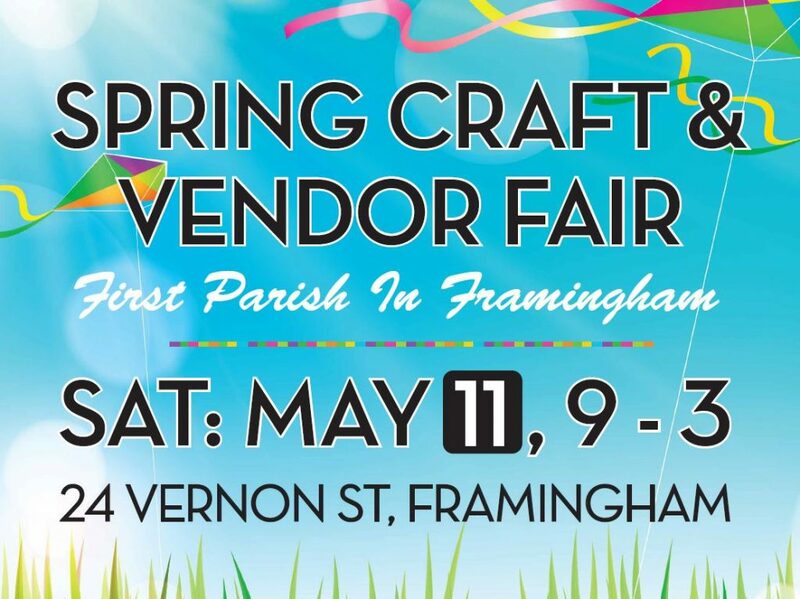 FRAMINGHAM – First Parish Church in Framingham will hold its craft & vendor fair on Saturday, May 11. The Vernon Street church will hold the fair from 9 a.m. to 3 p.m. 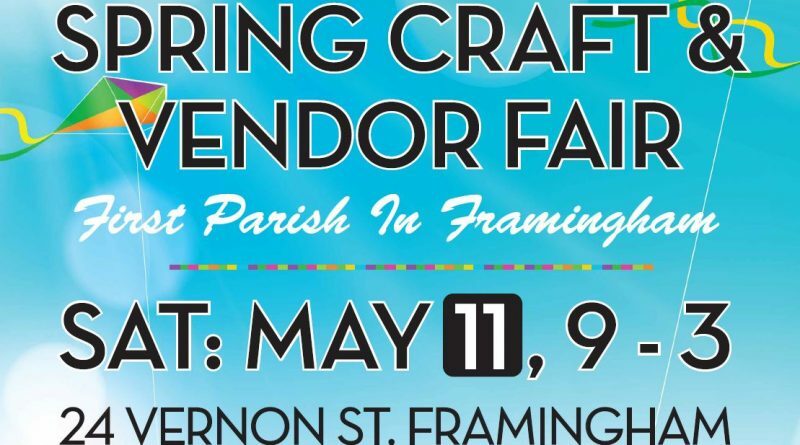 The fair will feature exhibitors with high quality, original handmade items, artisans and boutique items such as quilting, pottery, glassware, jewelry, soaps & lotions, candies, bakery breads & treats, home décor, holiday items and gifts. With the date so close to Mother’s Day, Graduations, and Weddings, it is the perfect day to go shopping, said organizers.